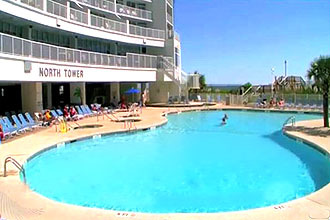 Near the Hilton and other resorts in Arcadia Shores, one of the hidden gems of Myrtle Beach is the mega-resort twin towers of Sea Watch Plantation Resort. 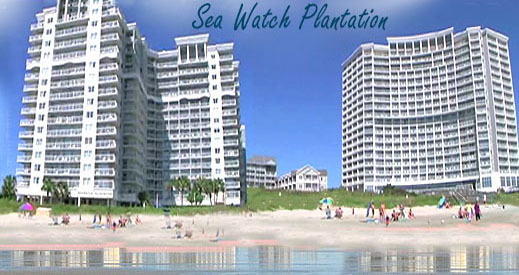 If you are looking for a vacation condo that has everything, Sea Watch is the answer to your every desire. 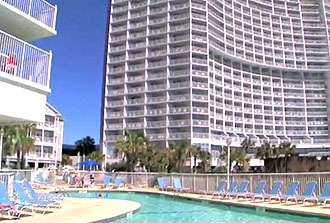 The location of the resort begins the perfection. Just up the road from the Tanger Outlet Mall and the smaller Myrtle Beach Mall, there's also lots of other shopping - Walmart, Target, Lane Bryant and others are together the next road over, and about 3 miles down Hwy 17 is Barefoot Landing. In the other direction you'll be convenient to the Carolina Opry and Dixie Stampede. The Kroger Galleria shopping center is also nearby, with some of the finest restaurants and one of our biggest and best grocery mega-stores. And don't forget you're right in the middle of Restaurant Row, with a third of all our restaurants right at your feet. 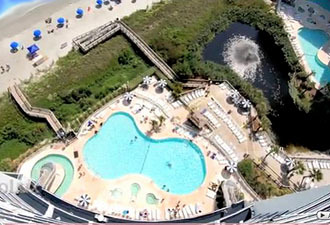 The amazing resort amenities include 2 lazy rivers, 10 jacuzzi's, 5 heated outdoor pools, an indoor pool, gameroom, tiki bar, fitness facilities, wireless internet, 24 hour front desk, on-site oceanfront restaurant, coffee and ice cream shop, and a lounge. The condos are available in Efficiencies, 1, 2, or 3 bedrooms, with all the luxury and upgrades you expect. 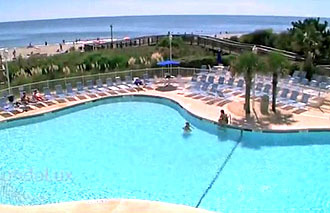 Prices range from under $100K up to around $450K for the prime oceanfront larger units. This is another resort you truly must see to appreciate. Give us a call after you browse through some of those gorgeous units below, and we'll be happy to show you around!